This week I decided to use the first washi I ever purchased. The elephant washi. I purchased it from Office Depot for like 29 cents a year ago. I haven't really used it much, and I'm trying to use stuff that isn't in my regular rotation. Not a lot to talk about this week. The 22nd was the anniversary of my mom's death, so I was in a funk for that day & most of the week. 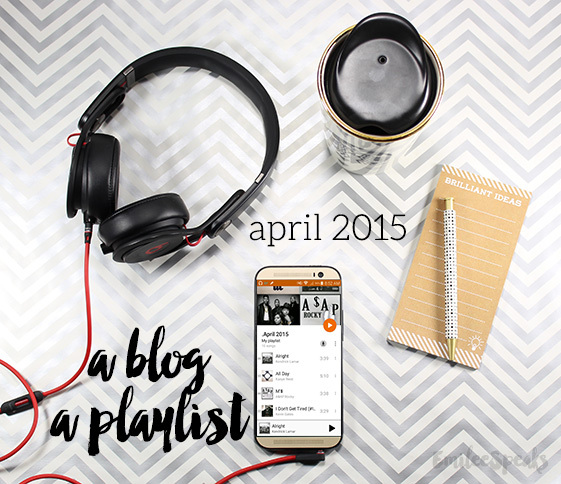 My motivation tends to be non-existent in April, so I turned to hip hop & rap. It helps a lot to boost my energy and get me in the "groove" to get my sh*t done. You can listen to the playlist with Google Play Music by clicking on the link below. I have still been loving the Soundtrack to Empire as you can see. Great show && great music. Love it. Also music related: I purchased tickets to see Smashing Pumpkins in June do an acoustic show! This 90s girl is super stoked! What were your favorite go-to songs this month? I was seriously in love with the way this week's decoration came together. 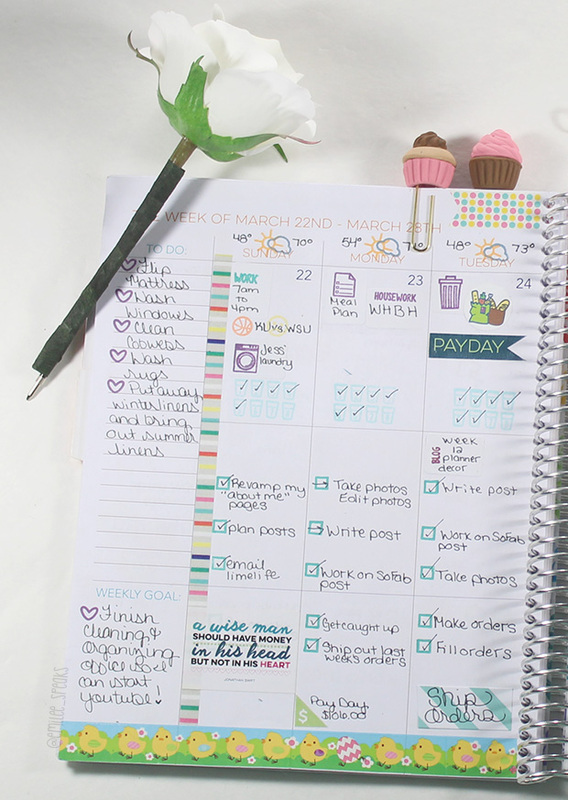 There's just something about beautiful planner pages that makes me happy. It was a good week, haha! The previous week I hated [which is why you didn't see it]. It annoyed me every time I opened my planner to the week 15 pages. Hated them. However, this week's was perfect. Loved it! As you can see I made another of my signature "dashboards" to put in my week pages. I used a Heidi Swapp Paper Pad that I got hella cheap at Michael's. It was originally $20 but I think I got it for like $7! It's a LARGE pad too. Scrapbook size [12x12] with 48 pages in it. Great deal! 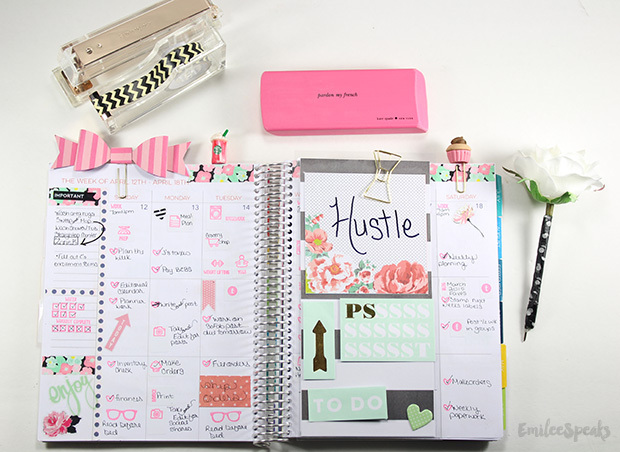 Then I stuck on a cute Heidi Swapp heart puffy sticker and my favorite Kate Spade sticky notes. The flower washi I BELIEVE is Heidi Swapp too? Maybe someone can correct me if I'm wrong... My washi collection is getting so HUGE that I'm forgetting where some came from. The black polka dot washi is from Joann. I used a Joann paper bow kit to make my papered bow paper clip [I STILL have a tutorial to teach you guys how to make your own without the kit, I'm planning on posting it next week]. 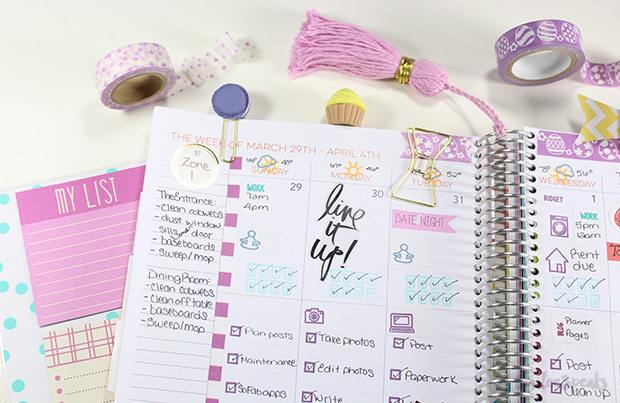 All the stickers are Heidi Swapp, that I do know ahah [except the bright pink page flags on the second half of the week, those are from Limelife Planners]. My gold bow paper clip is from Kate Spade and the cupcake & Starbucks cup came from my etsy shop! I made the flower pen from leftover flowers that I used to make my son & his girlfriend's prom flowers. I just wrapped it with black/white polka dot washi from Michael's [the washi in the tubes]. 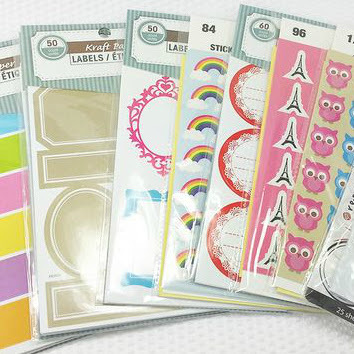 All stamps as usual are from Sweet Stamp Shop. I just adore those stamps! Something new this week is my ink! I grabbed the Color Box Paintbox pigment ink palette. I'm LOVING this ink! I really like my Versa Magic, but sometimes it's just too "pale" for my liking. Especially for taking photos. The Color Box ink is bright, stamps beautifully, and doesn't bleed... contrary to what many stampers try to tell you. 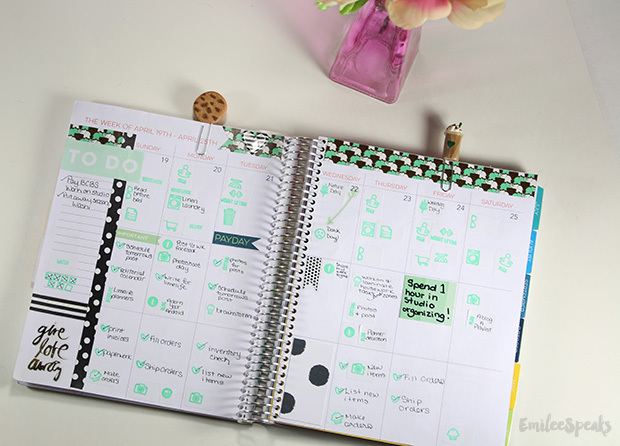 There's become this huge misconception that you can ONLY use Chalk Ink in your planner. It's just not true. One thing you need to remember is that the pigment ink dries a little slower. But I always leave planner open for awhile after inking anyway. Also, it may depend on what paper quality your planner has on whether it bleeds. 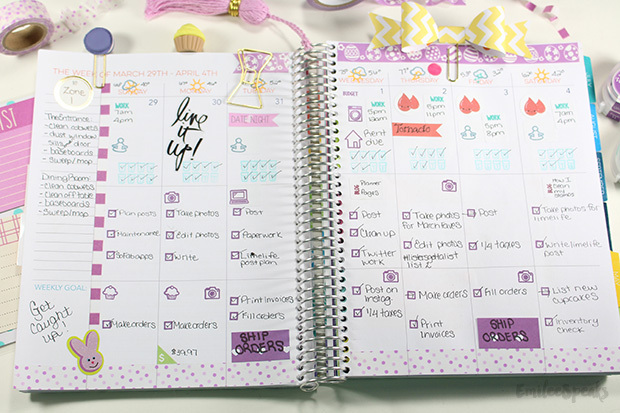 It does NOT bleed in my perfect Limelife Planner. I love that the shades pull out so you can ink your stamps easily. I lifted out the shade I used this week for reference. 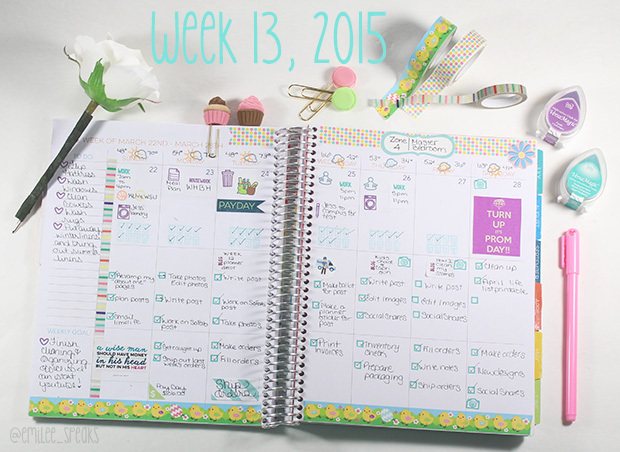 What did you use this week to decorate your planner? What are your planning "must have's"? If you're like me, you never know when creativity will strike. It helps to keep a little notebook on you for moments like this, but sometimes all you have is your phone. 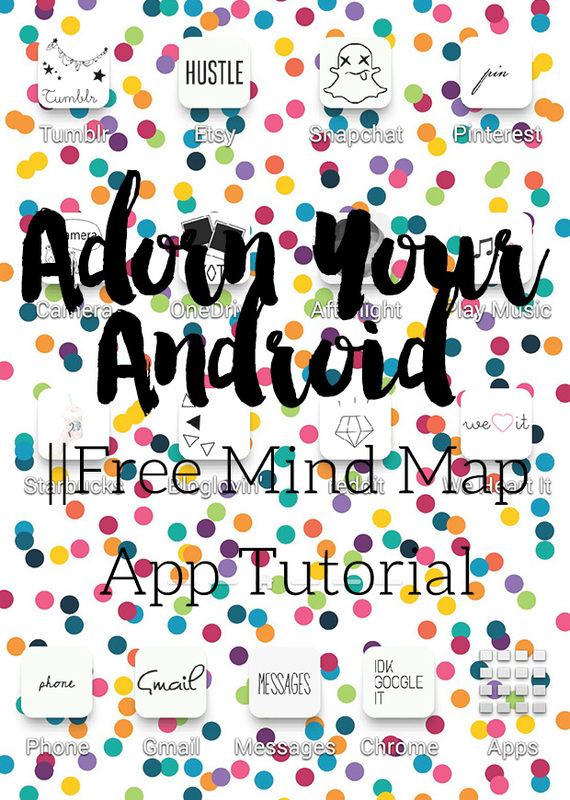 I found a really awesome app that is great for brain dumping. 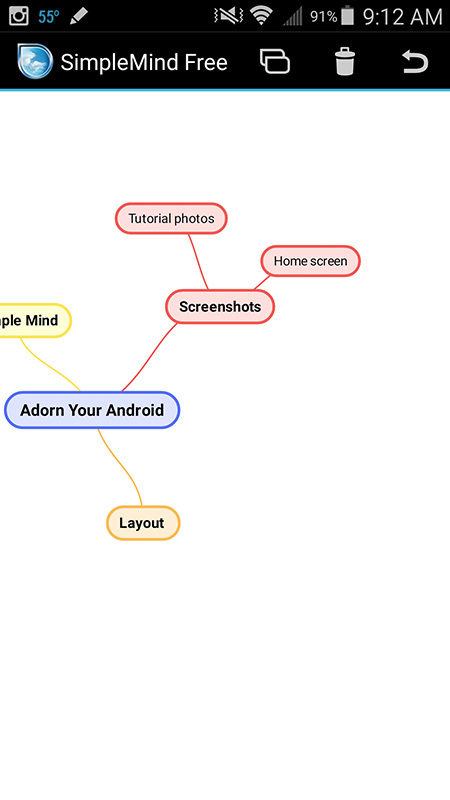 It's called SimpleMind Free [there's a paid version as well] and it is a "mind mapping" chart creator. I've been loving this app lately and I thought I'd share it with you this month. You'll start with your "main" topic. For this example, I'm using this post as my main topic. 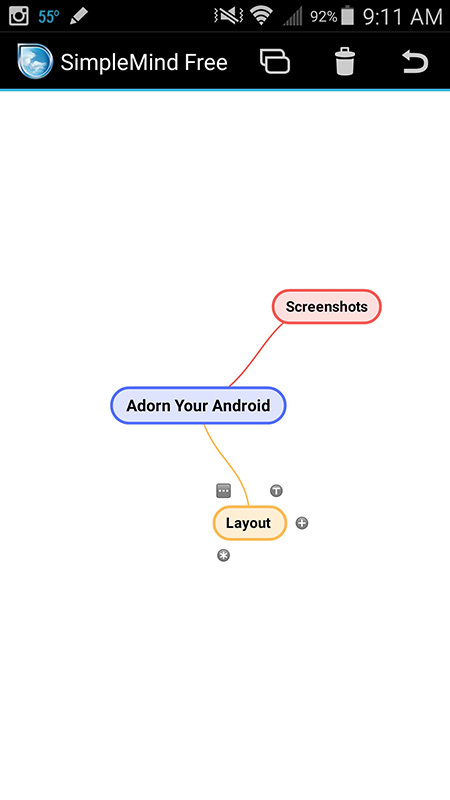 I actually do use this app to map out ideas for posts for the month. Each bubble will have a few options on it. 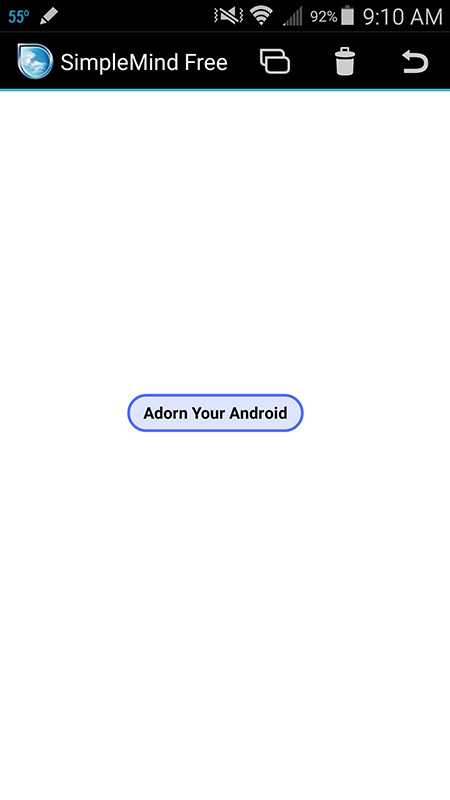 You'll select the "+" to add another bubble. 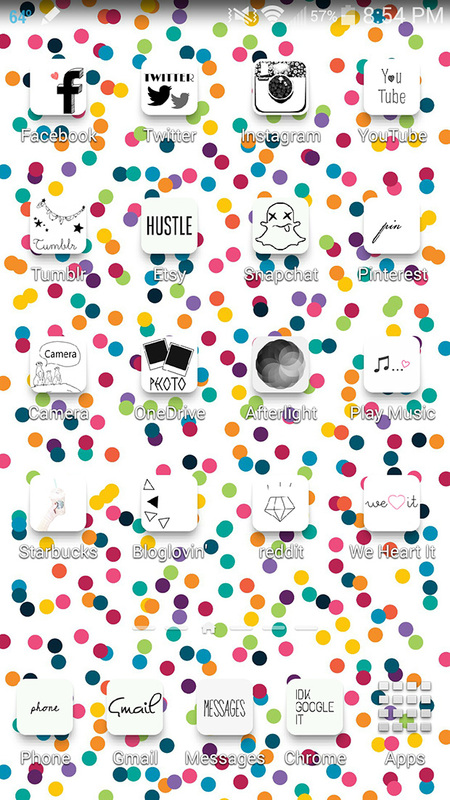 You can move the bubbles around & arrange them however you like. You'll just keep creating sub-topics of your topic until all of your ideas are down & your brain dump is complete. 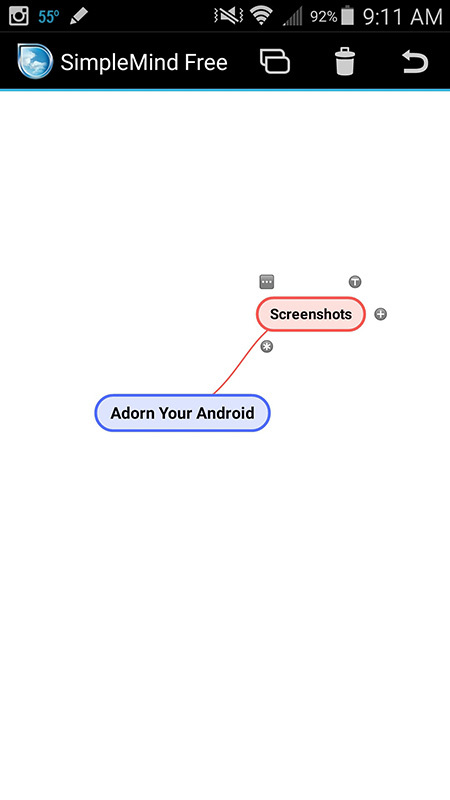 I use this app a lot to get my ideas down and save them for later. 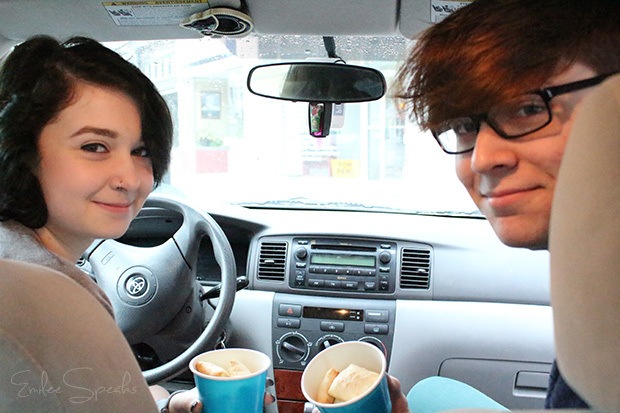 Or when I'm in the car waiting to pick up my son from an activity, I'll take that time to brainstorm new blog posts. I didn't change my icons this month. I honestly didn't have much time to "play" with my home screen. It's been a busy month. 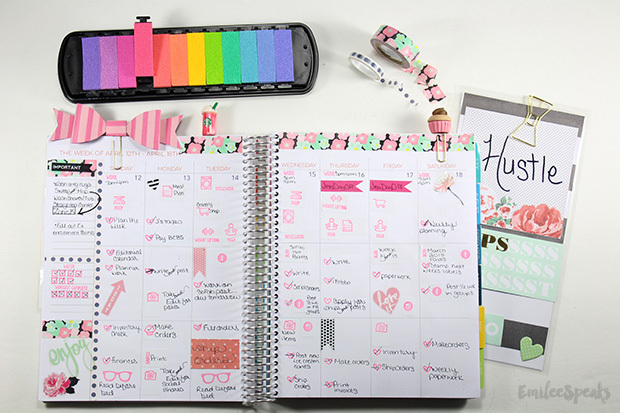 I decided to hop on over to LimeLife Planners and use another one of their phone wallpapers! How cute is this one? 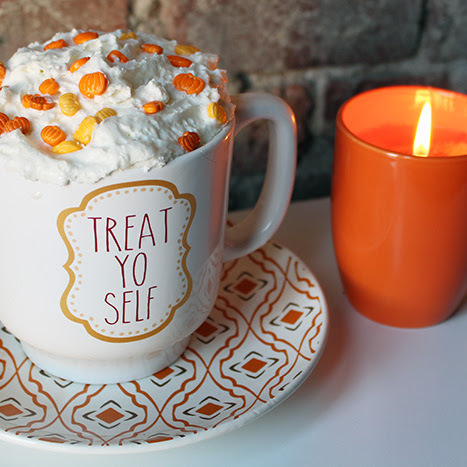 Love the bright polka dots. Tell me your favorite app for brain dumping! 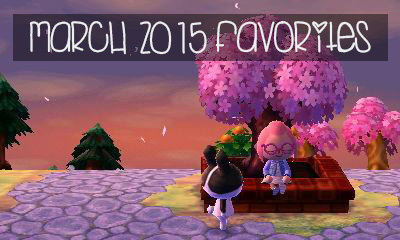 It's been a few months since I've done a favorites post, so I thought it was time to do one. I've been lucky to be incredibly busy with etsy orders and other endeavours that I hadn't put much thought into a favorites posts for awhile. Not complaining one bit, I love it! Thank you all for keeping me busy! Animal Crossing New Leaf: I've been spending literally ever free moment of my time with this game. I purchased it back in January but have just recently been obsessed with it. This game consumes me! It's sooo much fun you guys. 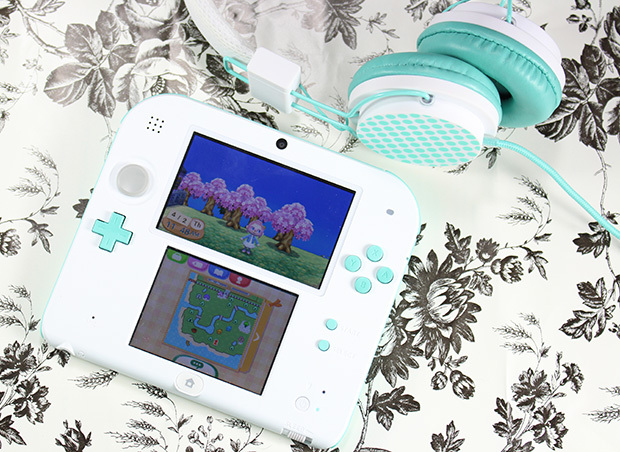 Also, can we talk about how lucky I was to find an adorable Mint Green Nintendo 2DS? Ahh the color of it makes me smile. I think I'll post more about ACNL later on, it deserves a post of its own! 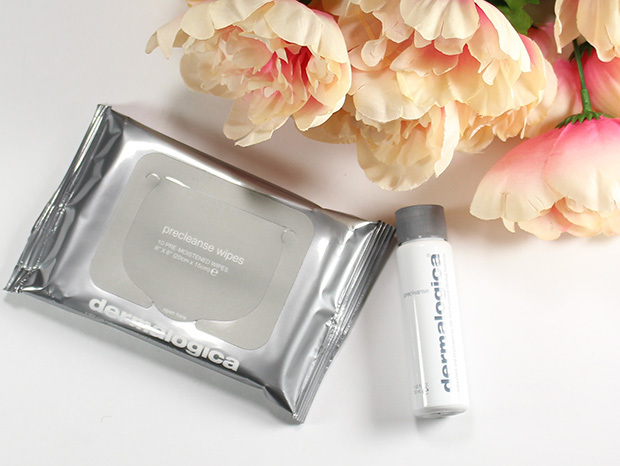 Dermalogica Precleanse wipes/oil: I've used different oils before to remove makeup and wasn't very happy with them. I was given the opportunity to try these for free, and I was pleasantly surprised. I'm not sure why I doubted them, I love Dermalogica. These wipes straight up melted my eye makeup off. Very fabulous stuff. Highly recommend it. 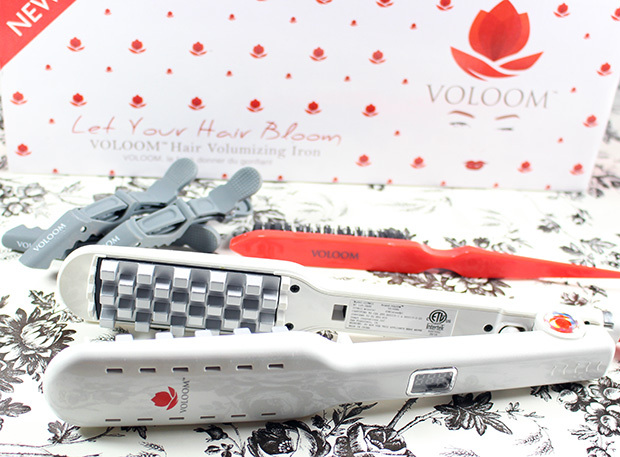 Voloom Volumizing Iron: Holy smokes this thing is cool! You use it at the root to mid-shaft under the top layer of hair. It creates a waffle like effect which then creates texture && volume. I'm obsessed with this guy. 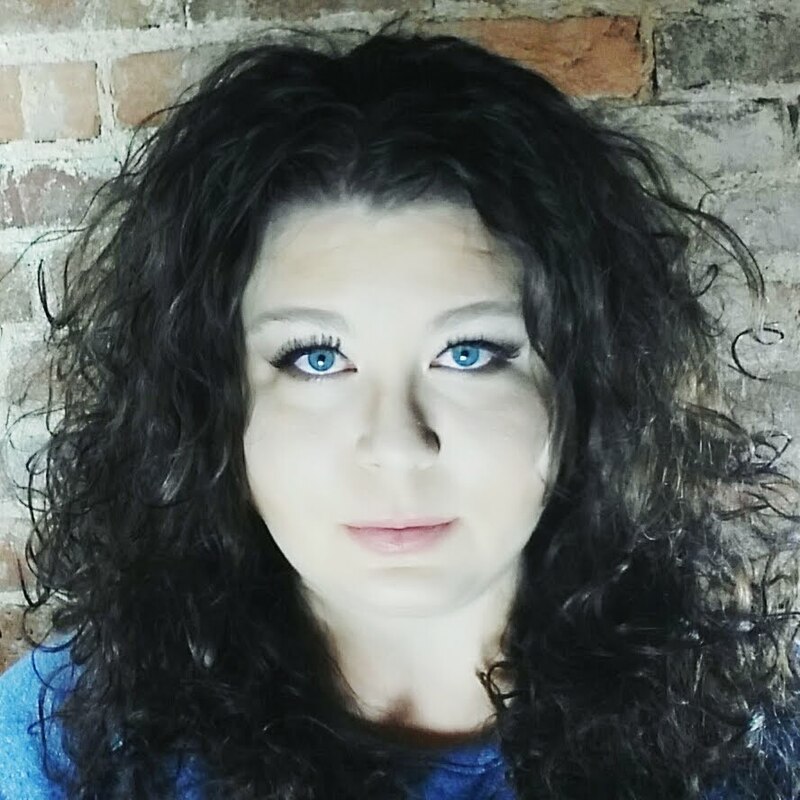 It really gives the illusion of thick hair. I especially like it when I pull my hair up. It creates tons of volume at my scalp. Really cool product. 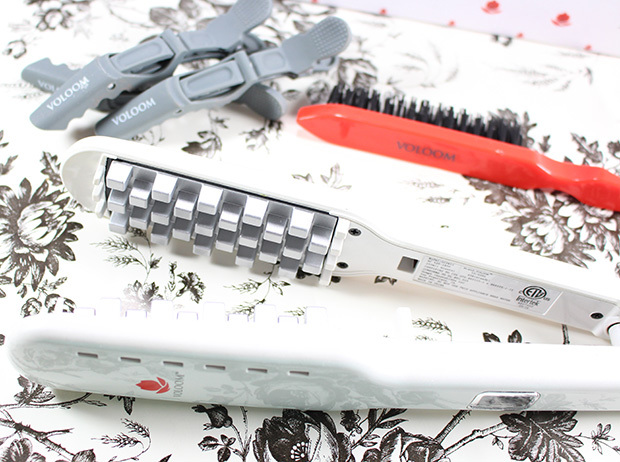 It also comes with a teasing comb and alligator clips [which happen to be my favorite type of clip!]. Here's a closeup of the iron. I'm telling you, you gotta check this guy out. It's super quick to use and creates volume in seconds. Definitely my new favorite styling tool! My Paper Clips: I have not only been loving using these paper clips that I sell in my etsy shop, I'm loving making them for you guys! You all have been so incredibly wonderful and supportive. I can't thank you enough! I was sent the Dermalogica & Voloom products for review. All opinions however, are my own. 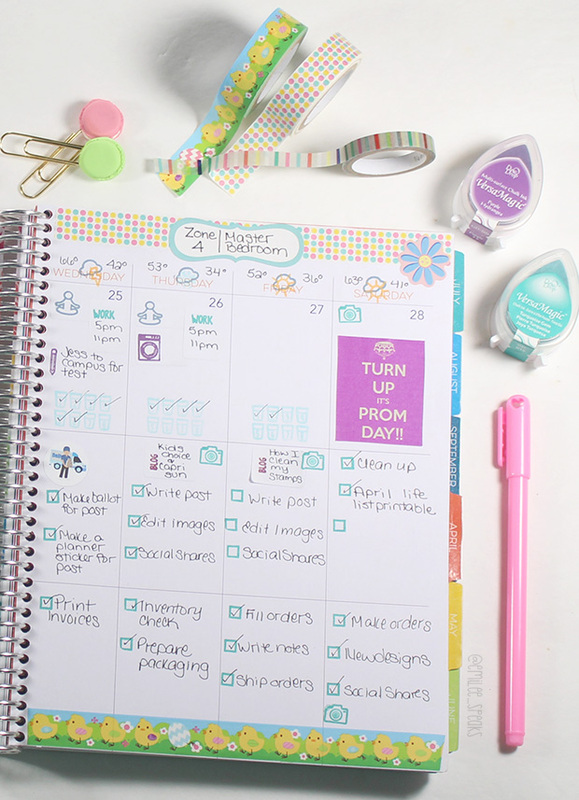 This week I used Dollar Tree Easter Washi tape, my Sweet Stamp Shop stamps, Versa Magic Chalk Ink, Limelife Planner stickers, Heidi Swapp stickers, and more. I'll list details below. I use several paper clips in my week. They each hold a purpose. 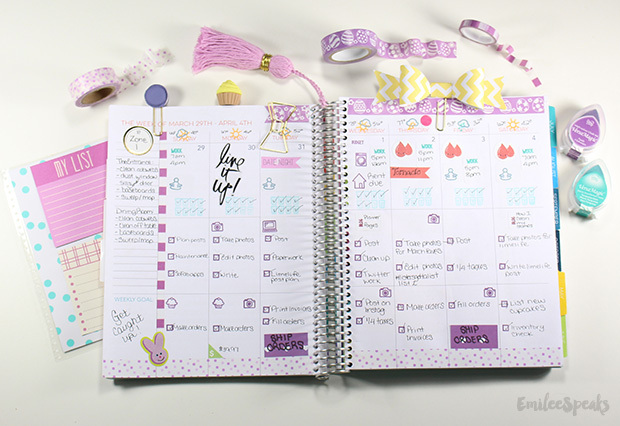 The cupcake is on the month page spread, the macaron is on this week/last week, the large paper bow [Joann's, but I'll have a tutorial soon with a free printable on how to make your own] is on next week's pages, and the gold Kate Spade bow is for pretty... 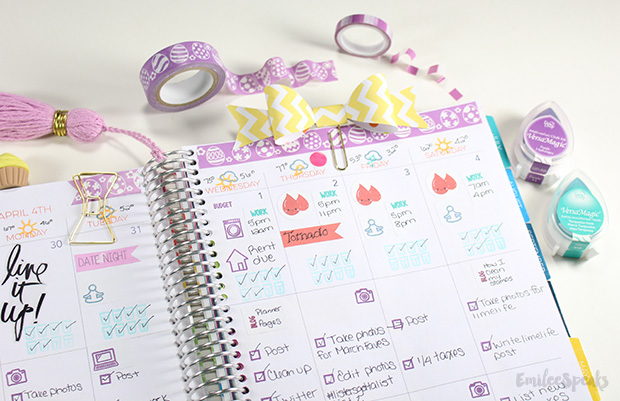 The small triangle pay day sticker is from Limelife Planners, as well as the Pink Flag at the top that I wrote "tornado" on. I'm keeping track of our tornado warnings this year ahah. Mainly because I felt they started super early this season, and I wish I could've referenced to last years planner. I used Versa Magic Chalk Ink in Turquoise Gem & Purple Hydrangea. The Easter washi is from Dollar Tree, the polka dots are from Michael's, and the checkered washi is from Joann. If you have any questions about what I used or how I used it, please feel free to comment below! Speaking of starving, ohhhh man, you have no idea what "hunger" is until you try to fill up a teenage boy! He's literally a bottomless pit. He can put away a bunch of food! I keep "convenient" food around for him to snack on. HOT POCKETS® is a favorite of his. 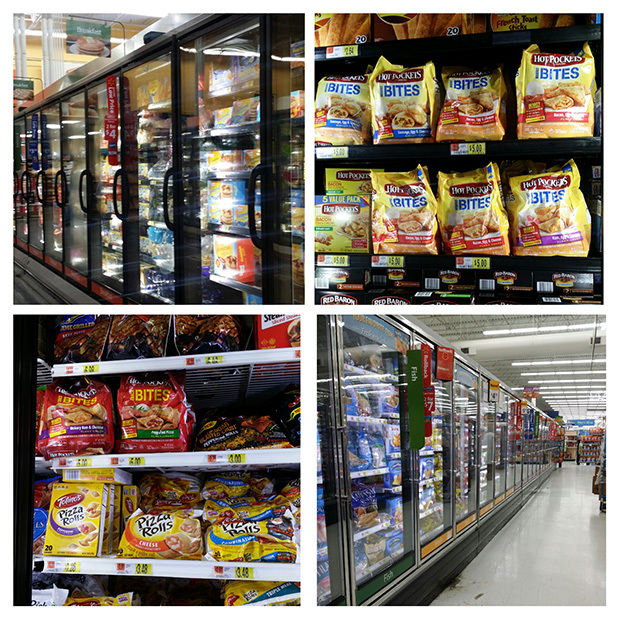 Well while shopping in the frozen meals section of Wal-Mart, I noticed something new! HOT POCKETS® had new product! There's the HOT POCKETS® Snack Bites && HOT POCKETS® Breakfast Bites! I knew I had to pick up BOTH! They have quality ingredients like 100% real cheese. I picked up the Pepperoni Pizza HOT POCKETS® Snack Bites for my son to have as an after school snack. The first thing he does when he gets home from school is raid the kitchen. These heat up quickly and easily fulfill his hunger! The real test would be if he could work the HOT POCKETS® Breakfast Bites into his morning bustle... I can happily say, it went smoothly! The HOT POCKETS® Breakfast Bites heat up in the microwave for a little over a minute. 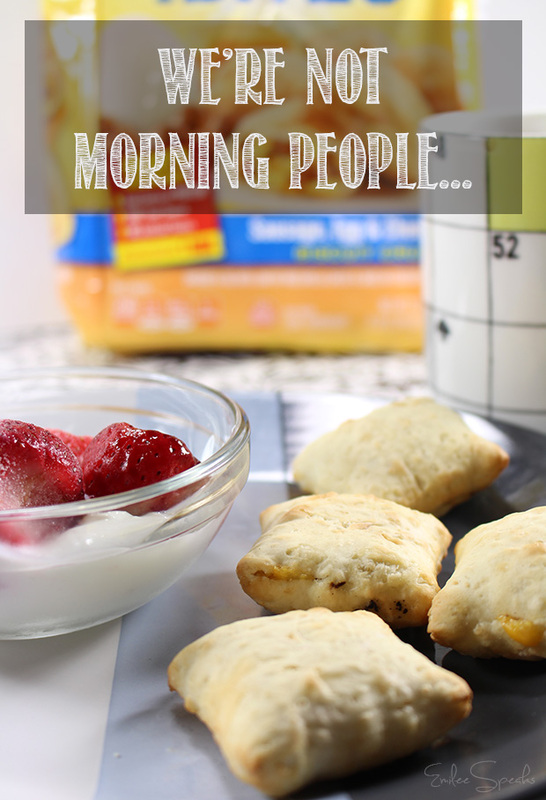 This hearty quick little breakfast snack easily held him over until lunch time. WIN! My son rides with his girlfriend to school each morning. Today he even heated up a few extra HOT POCKETS® Breakfast Bites && brought them out to her! Of course I had to get a picture of that, because it's just too cute! 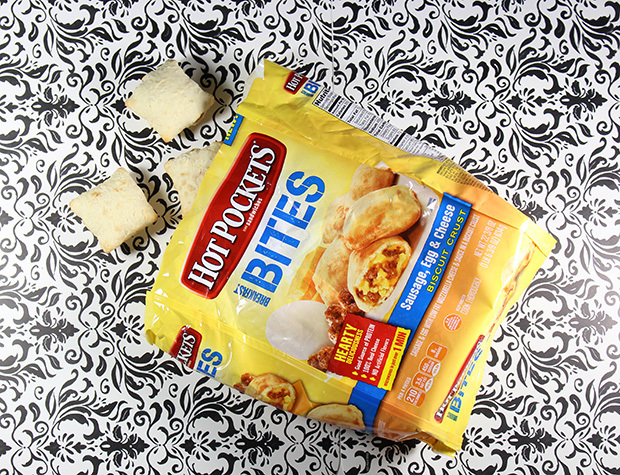 Now you can get HOT POCKETS® Breakfast Bites and Snack Bites at Walmart and SAVE $1 from April 1 - April 30 with this coupon: http://cbi.as/6hjz! 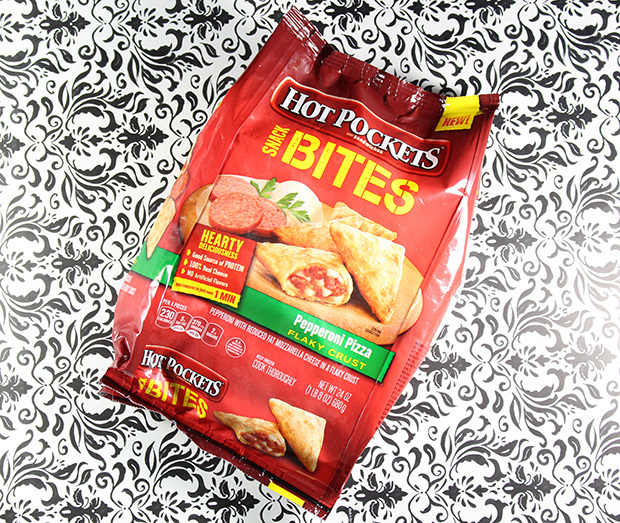 Have you tried HOT POCKETS® new Breakfast or Snack Bites? This week was all about Spring! It was also a very busy week! My son has his Junior prom on Saturday [notice the sticker]. I spent most of the week playing catch up on stuff that was put on hold due to dad's accident the week before. Not a lot of decorating happened, as I needed all the space for my many tasks! The top and bottom washi are from the Dollar Tree. The long striped vertical washi is from Target. I used Sweet Stamp Shop Stamps as always, with Versa Magic Chalk ink. 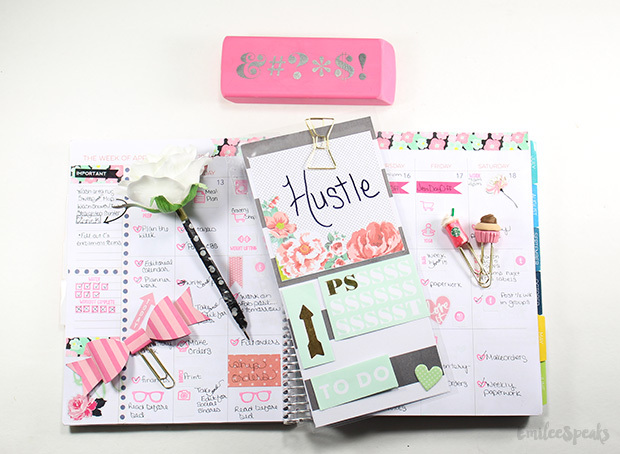 The quote sticker is from LimeLife Planners, as well as the pay day stickers. I made the flower pen from the flowers I used to make my son's boutonniere and his girlfriends corsage. 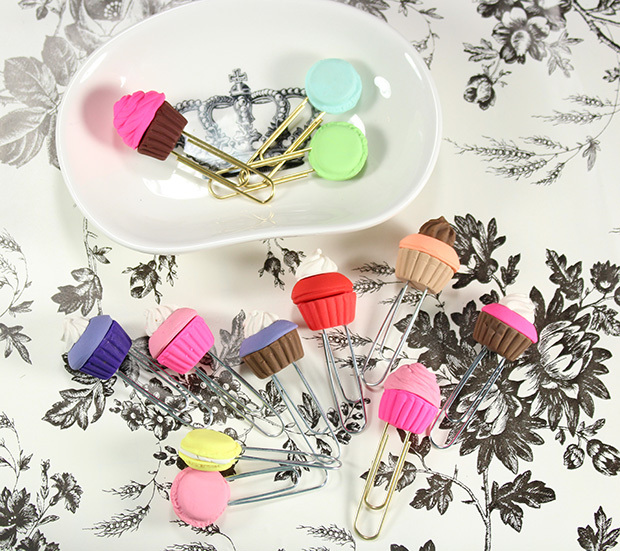 Aaaaand the cupcake paper clips I handmade and they're available in my etsy shop! Same stuff happening on this side of the week. I showed the Pink pen from the Target One Spot, but I ACTUALLY used a Sharpie Pen in black... The sticker in the top right corner is from an Easter sticker book from Target. The label at the top middle is from Joann. I printed the prom sticker off myself. Macaron paper clips I handmade and they're also available in my etsy shop! Here's a shot of my son && his girlfriend. 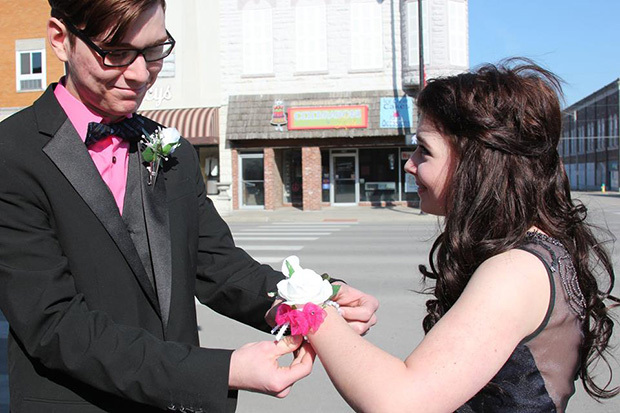 He's putting the corsage I made onto her wrist. It was such a cute photo with her looking at him all dreamy, ahah.